You want your spa to be as calming an experience as you can offer your clients, and a lot of the strategy that contributes to this needs to be laid out in advance. In order for the spa to function smoothly, you need clearly defined protocols for every aspect of your operation, from hygiene to retail sales and staff training. Planning your protocols will help avoid hiccups along the way and will certainly pay off in the long run. 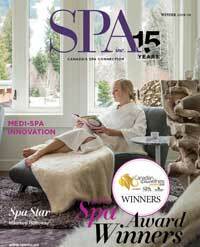 Spa employees are a multi-skilled bunch. Massage therapists may find themselves performing a different service every day; shiatsu, deep tissue, reflexology, etc. Aestiticians may perform facials, peels, waxing or any of a host of other offerings. Perhaps the only constant in the life of the spa employee might be the uniform, and it is important to identify the precise standards for dress in the spa to keep that constant from causing any undue confusion. Cleanliness also means light makeup, if any at all, and hair pulled back so as to stay out of the way during any treatment or service application. If you do decide to offer standard, spa provided uniforms, be sure that employees are presented with the option to order (or purchase if you ask employees to cover the cost of their uniforms) several units, so that they are not forced to choose between endless small loads of laundry after each shift to freshen up the uniform or wearing the same, unlaundered outfit for multiple shifts. (For more on uniforms, see our feature on page 16). Prior to the start of a shift, spa workers have prep work to do. Pulling together the equipment or products required for the first service and doing advance work for whatever might be scheduled for the rest of the day. “Staff are required to arrive a minimum of 15 minutes before their shift in order to prepare for the first treatment and organize whatever they need for the rest of the day by going over their appointment list,” says Paulin. This is common practice in most spas. At Tigh-Na-Mara, most staff arrives 30 minutes prior to the beginning of a shift to ensure sufficient prep time. If you are uncomfortable asking staff to arrive before the official shift, consider booking appointments 30 minutes in to the shift schedule. This will make a slight dent in the total number of services carried out through the day, but may be a more comfortable alternative for some. The late policy is another consideration that should be outlined in advance and explained to all staff, and it must be adhered to in all instances lest it compromise the integrity of your system of protocols. “We use a standard sort of three-strike system,” says Paulin. A three-strike system is easy to understand and could be considered standard practice in the spa industry when it comes to tardy employees. If an employee is late for a shift, they should be issued a verbal warning letting them know that the infraction will be recorded in their employee file and will remain there for the term of employment. The second instance usually results in a standardized written warning reminding the employee of the attendance policy and informing them of the consequences should they fail to meet the expectations of the spa a third time. The third infraction often will result in dismissal from the spa. Occasionally there may be extenuating circumstances surrounding issues with attendance, in which case the spa owner can always use judgment, but it is also important to stick to the policy to keep the perception of favoritism from tarnishing the spa environment. “Our policy is that tattoos may not be visible,” says Houtby-Ferguson. Although a quality employee should not be overlooked in the hiring process because of visible tattoos, consider the effect body art might have on your customers. If you are aiming to attract an older crowd, the appearance of tattoos on spa employees may be less accepted than with a younger customer base. If an employee does have visible tattoos, consider how they may be covered up when at the spa. Consider the effect the appearance of your employees may have on your targeted clientele. Piercings are much more common than tattoos and may be less of a factor when spa workers are making the first impression on a new client, but it is not uncommon to ask that employees limit the number of piercings displayed while at work. It may be worth your while to distinguish between piercings and stretchers in your staff protocols. Many people find the appearance of ear stretchers uncomfortable and cleanliness and infection control can become issues. “No plugs [stretchers] are permitted,” Houtby-Ferguson says. If you have built a sterilization room or section into your spa, make sure that employees use it after each treatment. It will be important to outline which cleaning procedures need to be undertaken by whom. Will aestiticians clean all of their instruments, or will staff in training be responsible for this? What are the guidelines for sterilizing each piece of equipment? “We have maintenance staff who take care of cleaning the room after each treatment, that way staff can concentrate on making sure they do every step in the sterilization process of the instruments,” says Paulin. How often do the surfaces and floors of the treatment rooms need to be cleaned? What cleaning supplies need to be used for each task? There will be less downtime if staff knows exactly what to do, and you can spend more time on customers. On the topic of cleanliness, staff must themselves reflect the image of the spa. Staff may smoke. If they do, it benefits the spa to provide guidelines for smoke breaks and resources to limit the presence of smoke in the spa. Be sure to inform staff of the appropriate number of smoke breaks throughout the day and the length that is acceptable. You may want to consider offering assistance to employees who want to quit smoking. Split the cost of certain quitting aids or offer other perks that may encourage employees to stop smoking (but don’t offer perks so great that they might make non-smokers start just to quit a few weeks later!). Training is important when it comes to maintaining an air of relevancy in the spa. How often do you expect staff to undergo refresher training and how regularly should staff update their skills with new services? Consider putting in writing the protocols to determine whether or not a staff member has reached an acceptable proficiency to perform a service for your clientele. Do the same for any ongoing, refresher training that is required in your spa. “I will be responsible for introducing all of our staff to any new massage treatments and I will decide if they are fully competent in performing it on a client or if they need to practice more,” says Paulin. Another option for training is to bring in third party experts to update staff skills. Do you require all staff to attend these sessions in order to understand all aspects of the spa, or do you only require those who will be performing the service to attend? As a perk, it may be good for staff morale to send your employees to a conference or training expo once a year. 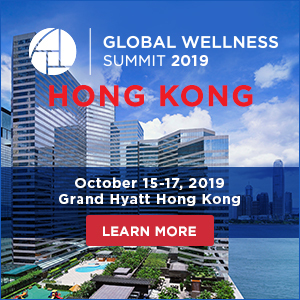 These are excellent events for exploring the latest and greatest trends in the industry, and provide a fun day out of the spa for stress relief and reenergizing. Remember, though, that this is not a day off. Be sure to emphasize this with all staff so there is no confusion. 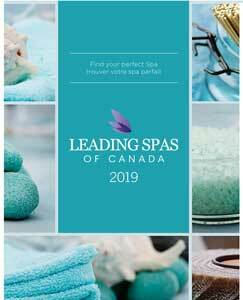 The three asks may not be the best practice for retail sales in the spa environment, but you should create a set of guidelines more suitable for the spa in regards to retail offerings. “Staff are asked to recommend our products to clients,” says Paulin. 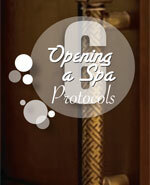 Good practice is to offer any products used in treatments in the retail section of the spa. For small talk during a service, staff can discuss the benefits of a given product, possibly generating client interest in the product. If a product is purchased as a result of staff recommendation, commission should be offered to your employees. This serves as both a reward and an incentive. “Our staff start at 10 per cent commission and this increases as retail sales grow,” says Paulin. Consider a scale that offers 10 per cent commission up to $300 in retail sales, growing by increments of two per cent for each additional $300 in sales up to a maximum of 30 per cent. 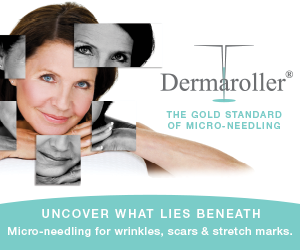 Be sure that staff is knowledgeable about the products they are using and selling. Bring in manufacturers to discuss the products they offer with staff. “I don’t want the staff to just read about these products in a book. The people selling the product need to know all about it and the best way is to hear it from those who make it,” says Paulin. There are so many facets of the business to consider developing specific protocols for. Whatever you do, make sure that it is all brought together in an employee manual for new hires to read, and give them in-spa time to go through the manual as thoroughly as possible so that they can understand the vision and expectations of the spa.